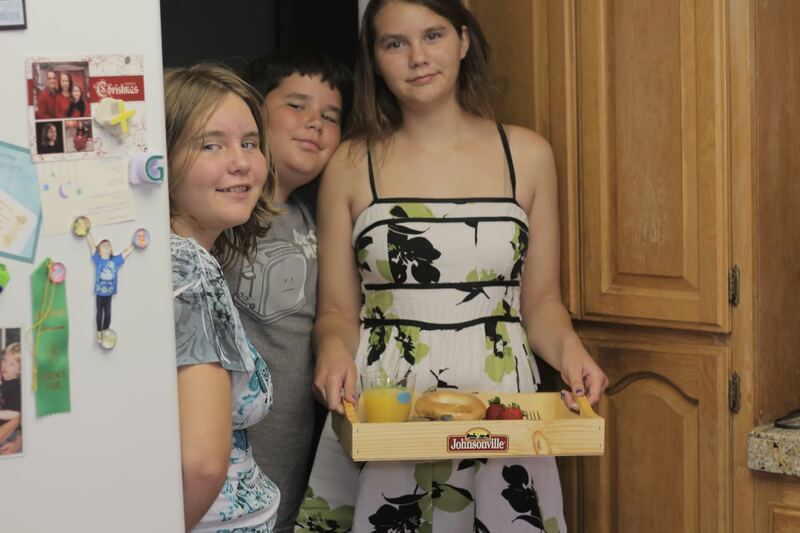 Father’s Day is rapidly approaching and my wife and kids decided to surprise me with an early Father’s Day “Bratfast in Bed.” It was such a sweet thought and was a really yummy dish! They prepared eggs, grilled brats, a bagel with cream cheese and orange juice for me to enjoy in bed. Join Johnsonville for the 2015 grilling season as we fire up new flavors, celebrate traditions and gather friends and family. Johnsonville’s new app – The Brat Signal – makes it’s easier than ever to let your friends and family know that a grilling gathering is about to start. The simple web-based app allows users to send out a virtual “smoke signal” with the grilling location and menu to Twitter followers and Facebook friends. Download the app at BratSignal.com and discover how it can help you make memories this summer as you gather ‘round the grill. 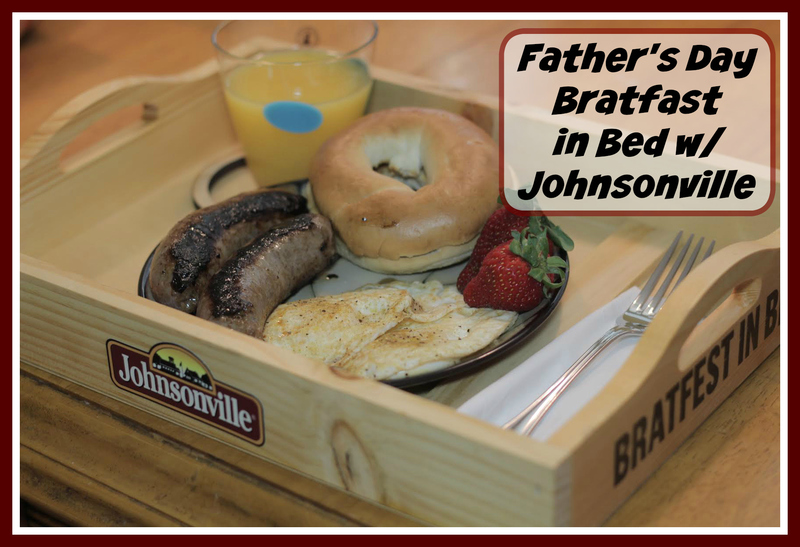 Additionally, Johnsonville is celebrating Father’s Day with a Bratfast in Bed tray! Complete with a Brat-y Mary (Bloody Mary, sausage style of course), two juicy Johnsonville brats drenched in sauerkraut served right off the grill, and the remote control to the television; this just became your answer to the ultimate Father’s Day gift. This year, you can also spice up your traditional backyard gathering by adding different flavors to your favorite sausage lineup with the new Butcher Shop and Griller varieties. 1 lucky reader on Daddledo will win a Johnsonville Bratfast in Bed Prize Pack, including a Bratfast in Bed tray and 3 FREE Johnsonville Brat coupons!!! 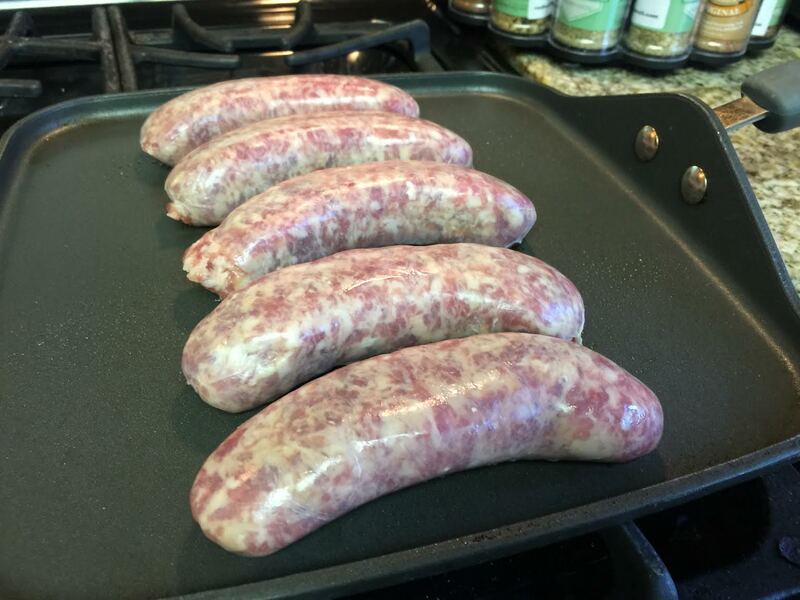 How do you enjoy your Johnsonville Brats? I like brats on a bun with brown mustard. Wow!! that was great!!! 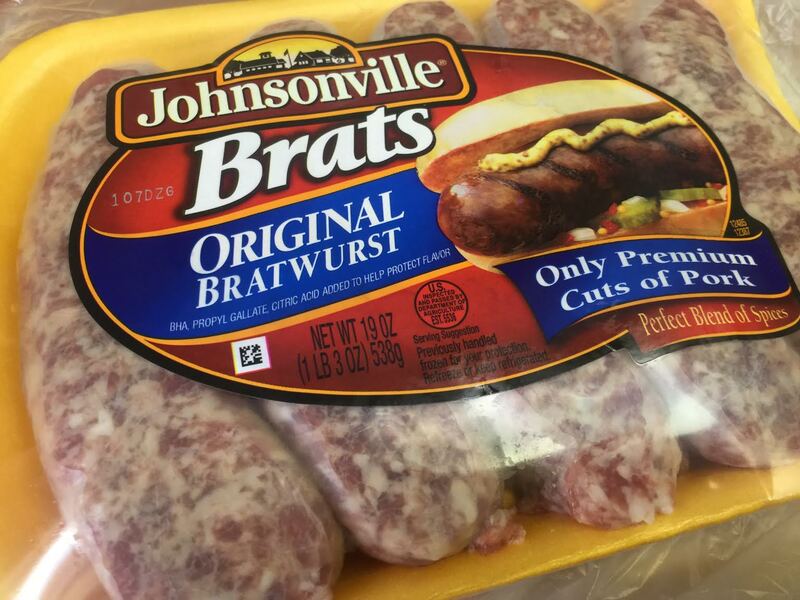 I love Johnsonville brats!! looks like a tasty breakfast. Grilled Brats with Savory Beer Sauce is my favorite. It’s a 3 step recipe, first simmered in a beer and onion marinade, then grilled, and covered in a savory sauce. I like them on the grill. I like mine in a hotdog bun with ketchup. I like my brats off the grill and dipped in mustard. I like mine with spicy mustard and peppers. I don’t really like Brats, but my husband LOVES them. He likes them on a bun with mustard. I love them with grilled onions and peppers! I like my brats on a bun with onions and peppers, pickle relish and ketchup. I like them grilled with peppers and onions. I like them grilled with peppers. I like them grilled and dipped in mustard. Thanks for the chance. I like them in slices and fried, then dipped in catsup and mustard. I like them on a bun with ketchup and mustard. I like my Johnsonville Brats on a bun with mustard and sauerkraut. I like to have them grilled with a little spicy mustard. I put them on the grill with a mustard and honey marinade! I love them with mustard and peppers. We cook them on the grill, then in a pan in beer! I like them cooked on the grill and served with mustard on the side. Okay, I know this is gross to some people, but I love them with a scrambled eggs, pancakes, and syrup drizzled over the whole thing! I like my Johnsonville Brats cooked on the grill with onions and peppers on a bun. I love mine with some shredded cheese and bacon! I like grilling them with some green peppers, onions and seasoning them with a little bit of garlic. I like to boil and grill them and top them with mustard and sauerkraut. I like them with mustard. I like to cut them up and fry them with potatoes, onions, green peppers, mushrooms and topped off with an egg.